DACA Countdown: Can Congress Save DACA by March 5? As of today, lawmakers in Congress have 115 days to pass legislation allowing more than 800,000 undocumented immigrants, known as Dreamers, who were brought to the United States as children, the opportunity to remain in the United States lawfully. If Congress does not act by the March 5th deadline terminating the DACA program, it is likely that the President will give Congress more time to pass such legislation. The President has reiterated that he wants the solution to come from Congress, and will not act unilaterally to shield Dreamers from deportation. For their part, hundreds of American corporations including Wal-Mart, Target, Pepsi, Microsoft, Apple, etc. have joined together to mount pressure on Congress to pass a legislative solution granting Dreamers protection from deportation. While politicians in Washington are still far from voting on such legislation, the future of DACA is optimistic. Politicians from both sides of the aisle are recognizing the serious implications that would result should they fail to act on the subject. 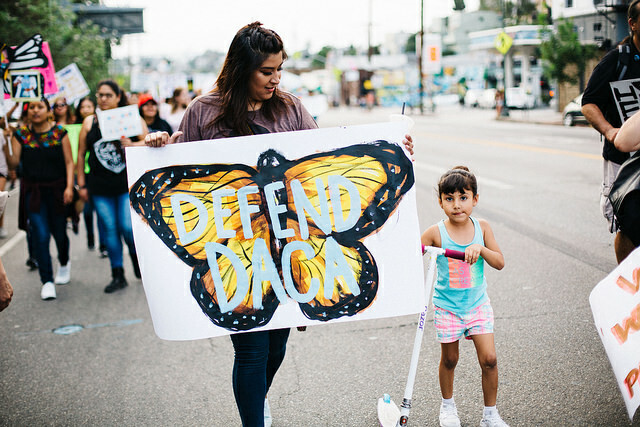 Although immigration has been a highly controversial subject during the Trump administration, all agree that DACA holders must be protected. That is because Dreamers form an important part of our community. Many are business owners, doctors, lawyers, and parents of U.S. citizens, who have for decades contributed to our economy by leaps and bounds. We cannot be cynical and we cannot lose hope. If you entered the United States without inspection (unlawfully) there may be alternative immigration options available to you, for example you may be eligible for a waiver of unlawful presence, if you are married to a United States Citizen. This option is only available to individuals who have only accrued unlawful status in the United States. Individuals who have other immigration violations (multiple entries, re-entries), or have taken voluntary departure, are not eligible to apply for a waiver. Alternatively, you may be eligible to apply for permanent residency if you qualify under 245i and are married to a US Citizen. Please contact our office to explore alternative immigration options.